Welcome to Gargo Corporation. Manufacturer and Supplier of Textile Dyeing Machinery. The company was established in 1992 at Surat. Advanced manufacturing facilities and State of the art manufacturing unit make us unique in the industry. Kanishka Prints Private Limited and Payal Dyeing, Printing Mills Private Limited are some of our esteemed clients and we are backed by easy payment modes and customized packaging. We offer a wide assortment of Hydraulic Goods Lifts, Hydro Extractor Machines and Chemical Reaction Vessels. Yarn and Fabrics Dyeing Machines offered by us are extremely reliable. We have gained tremendous expertise in providing Fabric Finishing and Foil Printing Machines that are cost effective. 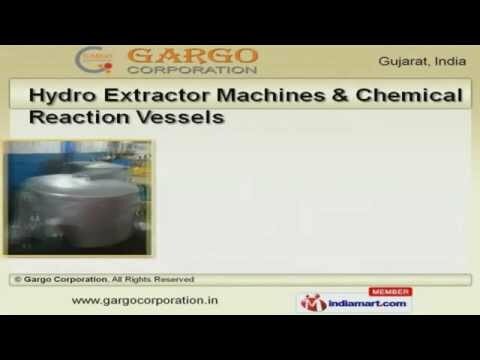 Our organization is highly involved in providing an impeccable range of Hydro Extractor Machines and Chemical Reaction Vessels. We are instrumental in offering a high quality range of Hydraulic Goods Lifts and Dew Drop Coating Machines that are highly efficient. We are one of the trusted names of the industry engaged in offering genuine quality Hydro Extractor Machines for Textile and Chemical Reaction Vessels for Chemical Industries.